Leaders need people who willfully and aggressively follow their lead to achieve success. People skills are essential, but unfortunately, the lack of skills in this area leads to the demise of many leaders. The competencies described below cover a wide range of skills and behaviors that focus on the relationships between leaders and other people. The challenge for a leader is to be aware of the needs of each individual and synchronize those needs with the goals of the team or organization. Effective leaders surround themselves with the best talent and work hard to use this talent to result in a positive work environment with great people and culture. 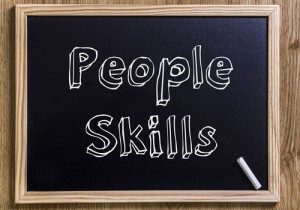 Three leaders come to mind when we think of people skills competencies: Colin Powell, Jack Welch, and Ronald Reagan. In our research for The Leadership Compass: Mapping Your Leadership Direction, we identified 9 leadership competencies critical in developing a leader’s people skills. Change Leadership. Change is a constant in many organizations and it affects leaders in how they both initiate change and lead followers through change. As a change initiator, the leader must thoroughly consider the reasons for the change; the intended and unintended effects of the change; how to measure the success or failure of the change; and most importantly, how they will communicate the change to all stakeholders, including team members. As a change implementer, the leader must understand the reasons for the change and communicate them to their team in positive terms. If they disagree with the change, the leader must express those concerns to the change initiators and then support their decision. The leader is responsible for leading followers through the change. Commitment to Diversity. Diversity is about empowering people to be exactly who they were created to be. An organization capitalizes on the strengths of each team member. Leaders must display equal respect for individuals regardless of race, age, culture, gender – and many other differences for that matter. In order to be competitive, leaders need to mold their workforce into teams that use the full potential of every individual. Most organizations have clear policies regarding equal and fair treatment of their employees. It is the leader’s responsibility to understand these policies, proactively support them, and enforce a zero tolerance toward any infraction of these policies. Communications. 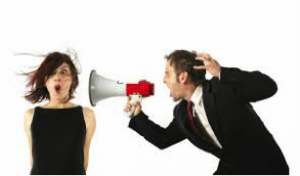 Being an ineffective communicator can be a career-limiting problem for any leader or manager. Communication consists of verbal communication, written communication, listening skills, and presentation skills and behaviors. Communication is an area of constant ongoing development for leaders – one can never get too good in communication. Leaders should focus on continual improvement in communication, especially in the areas that they are most likely to engage, such as listening or developing and delivering presentations. Conflict Management. Leaders must often deal with conflict in the work environment. The conflict may be among team members or it may even be with a customer. Conflict not only wastes time and money, but can be emotionally destructive to those involved and even to those observing. There can be a healthy level of conflict in an organization, especially if it is about an important issue. But, the conflict must remain professional and moving in the direction of resolution. Conflict should not become personal. If that occurs it is the leader’s responsibility to intervene and bring the conflicted parties together for resolution. Most conflicts can be resolved with the leader facilitating a discussion between the parties that finds common ground and leads to the best solution or direction. Interpersonal Skills. Interpersonal skills are all the behaviors and feelings that exist within us that influence our interactions with others. Leaders must set the example, be as open as possible in their communication and hone their skills so that people receive and understand their messages. Interpersonal skills go beyond simply the message; they involve attitude and body language as well. Those with poor interpersonal skills can have a limited career. Leaders must become adept at the cultural and age differences within their environment and interact in a respectful and clear manner. At the same time, leaders must be authentic and “be who they are” and not be superficial. Leaders must care about their team members and the caring must be real and not an insincere act. Problem Solving. We expect leaders to solve problems, and most of the day that is exactly what they do. Successful leaders use intelligent problem-solving techniques. 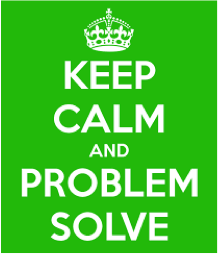 Methodically solving problems leads to much better solutions. Far to often, people jump from a problem to a solution, without considering the unintended consequence or gaining enough information to successfully solve the problem. First, leaders must recognize that there is a problem. They must then define it by collecting data and determining the root cause of the problem. Then, after assessing the alternatives available to consider, the leader chooses the appropriate solution that fits the strategy of the team or organization. Talent Management. Every organization can gain by having the right people doing the right jobs. People need a path to build on their talent and experience to grow in the company or organization. In our years of conducting 360° leadership assessments, talent management is consistently the lowest-scored competency. Many leaders do not fully understand their responsibilities to develop their team members. From our experience and research, talent management is one of the most important leadership competencies because it involves people. Leaders must recruit, select, develop and compensate people – this is an investment into the health of the organization. Teamwork. Leaders typically serve as a part of a team and also manage a team. Thus, it is important that leaders are skilled in understanding how teams work and create an environment of success in whichever role they are serving at the time. Teams must work together to achieve the goals of the organization. When functioning as a leader of a team, the leader must establish the processes that lead to success and assemble a diverse team that is motivated to achieve and be accountable to each other and the leader. People are the greatest asset in the organization. Effective people skills are critical to a leader’s success, but they are often the downfall of those not skilled in dealing with other people. Leaders who are weak in people skills should focus on development in these competencies to achieve success for themselves and the organization. Adapted from The Leadership Compass: Mapping Your Leadership Direction Take a short online self-assessment of the competencies described in this blog to identify your strengths and areas of improvements in these 9 competencies.